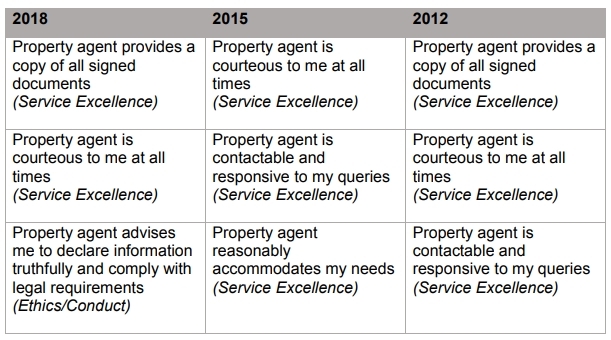 Consumers who engaged property agent services which utilised three or more property technology tools expressed most satisfaction. Consumers continued to be satisfied with the property agent services rendered by their property agents, according to the Council for Estate Agencies’ (CEA) third Public Perception Survey on the real estate agency industry. 85 per cent of consumers in 2018 were satisfied with the service provided by their property agent. This is an increase from both the 2015 (79 per cent) and 2012 (81 per cent) surveys. 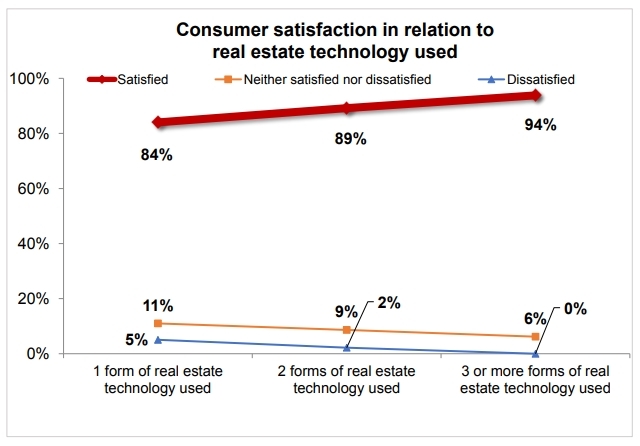 Consumers whose agents used three or more forms of real estate technology tools during their property transaction were significantly more likely to have indicated that they were satisfied with their agents’ service. This was consistent for consumers across all age groups. 72 per cent of consumers indicated that they would engage the services of a property agent in future transactions. This is higher than that in 2015 (60 per cent) and 2012 (66 per cent). 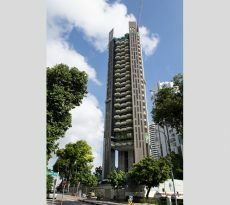 The three-yearly survey involved some 1,500 respondents, comprising individuals who had engaged the services of a property agent and those who had yet to. 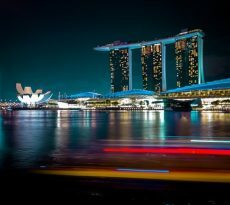 Face-to-face interviews were carried out with respondents over three months from May to July 2018 at various locations around Singapore. 85 per cent of consumers surveyed in 2018 were satisfied with the services provided by their property agents. This represents an increase in satisfaction from both the 2015 (79 per cent) and 2012 (81 per cent) surveys. Satisfaction was consistently high among all consumer groups surveyed i.e. property buyers and sellers, landlords and tenants. 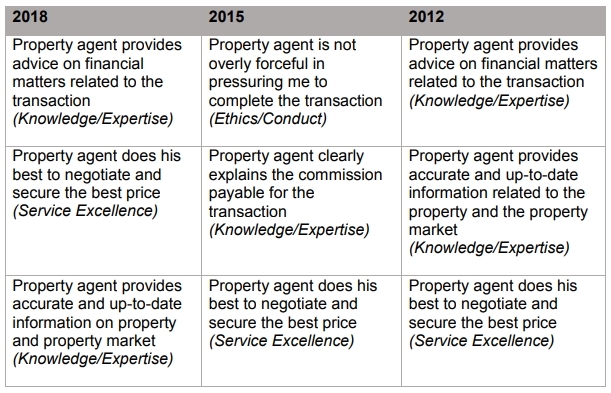 Consumers who you used property agent services were asked to rate their property agents on 18 action statements. In a result similar to the 2015 survey, property agents’ knowledge remained the most important dimension to consumers in 2018. The 2018 survey was the first in which consumers were asked if their agents used any digital tools during the transaction. A third of respondents shared that their agents used at least one digital tool while facilitating the transaction. These tools included property apps with pricing calculators, information on property trends and property details, as well as electronic forms. Consumers whose agents used three or more forms of real estate technology during their property transaction were significantly more likely to have indicated that they were satisfied with the services provided by their agents. This was consistent for consumers across all age groups. 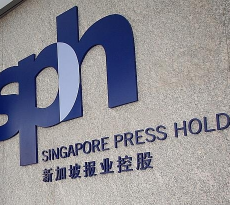 As with the earlier two surveys, consumers who used property agent services were asked if they intend to engage a property agent for future transactions. 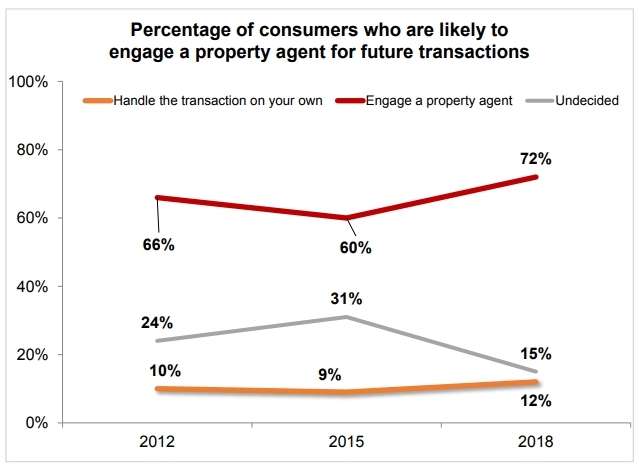 Consumers’ intentions with respect to future transactions were strongly related to their satisfaction with the service provided by their property agents. Related to the overall higher level of satisfaction among consumers surveyed, 72 per cent of them indicated that they would engage the services of a property agent in future transactions in 2018. This is significantly higher than that in the 2015 (60 per cent) and 2012 (66 per cent) surveys. The proportion of consumers who were undecided decreased to 15 per cent from 31 per cent in 2015 and 24 per cent in 2012.12 per cent of consumers indicated that they would likely handle property transactions on their own, an increase from nine per cent in 2015 and 10 per cent in 2012. The 2018 Public Perception Survey also polled consumers on their awareness of 12 key industry practices and regulations. The survey found that consumer awareness has increased compared to 2015 and 2012, with an average score of 77 percent, or nine out of 12 areas. The score in 2015 was 73 per cent, or close to nine out of 12 areas. In 2012, the average score was 72 per cent, or eight in 11 areas. 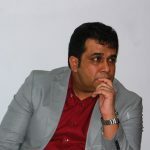 As for potential consumers, their awareness averaged 69 per cent in 2018, an improvement from 65 per cent in 2015 and 59 per cent in 2012. 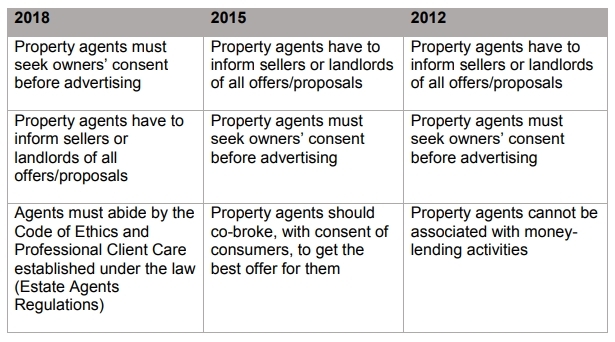 Similar to consumers, potential consumers also displayed high awareness of the fact that property agents must seek owners’ consent before advertising. They were also aware that agents cannot be associated with money-lending activities and that agents must abide by the Code of Ethics and Professional Client Care.